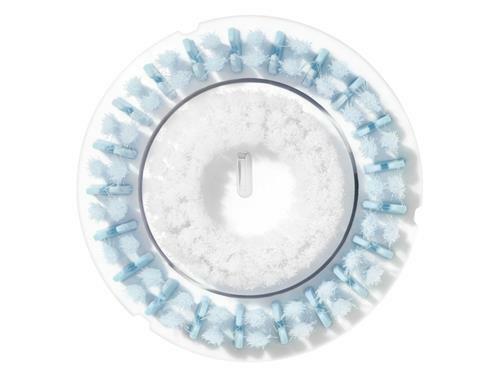 Clarisonic Sensitive Brush Head is a brush head for sensitive and acne-prone skin. Sensitive skin? Easily irritated? Sometimes red? Get softer, smoother skin with the new Sensitive Skin Cleansing Brush Head from Clarisonic. This newly designed brush head reduces signs of redness and leaves skin soothed, cared for and beautifully clean. Never tight, never dry. The best cleansing for sensitive skin. A Clarisonic facial cleansing device, paired with the Sensitive Skin Brush Head cleanses makeup 6x better than hands alone and removes long-wear makeup 89% better than wipes. 95% of women agree their skin feels soothed and nurtured. Convex shaped brush head features ultra-long bristles to provide extra cushion comfort on skin. 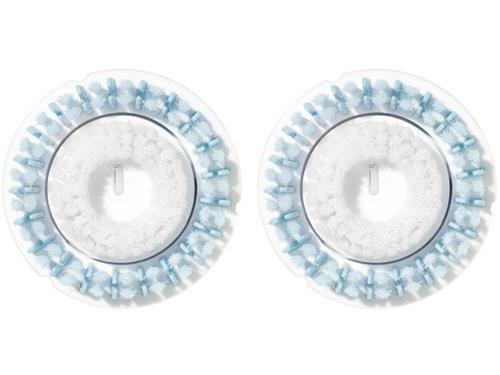 The soft elastomers on the outer ring provide gentle massage sensation and help flush out impurities more effectively. New Brush Head Replacement Indicator conveniently alerts users when it's time to replace the brush head to guarantee optimal results. Tell us your thoughts about Clarisonic Sensitive Brush Head and receive 50 rewards points! I would not purchase again. My hands work just as good. I like the older ones they have discontinued. I couldn’t wait to try out this brush head when I first touched it at the store. However, the brush head feels much softer to the touch when dry than when in use with a cleanser. It’s a decent brush head, but my preference is still with the delicate brush head. My skin feels more cleansed with the delicate brush head. This has replaced my cashmere brush head. It is soft and really does make my face and neck feel clean. It doesn't scratch and works great. I keep mine in the shower, and once a week, I pop in the dishwasher to sanitize and can get 2 months out of this.